Communication is social by nature, helps others to engage in relationships, and link the micro actions of individuals to the macro actions of the organization. The communication patterns of a workplace determine not only the culture and flavor of the company but also its effectiveness. The researchers Keyton, et. al. 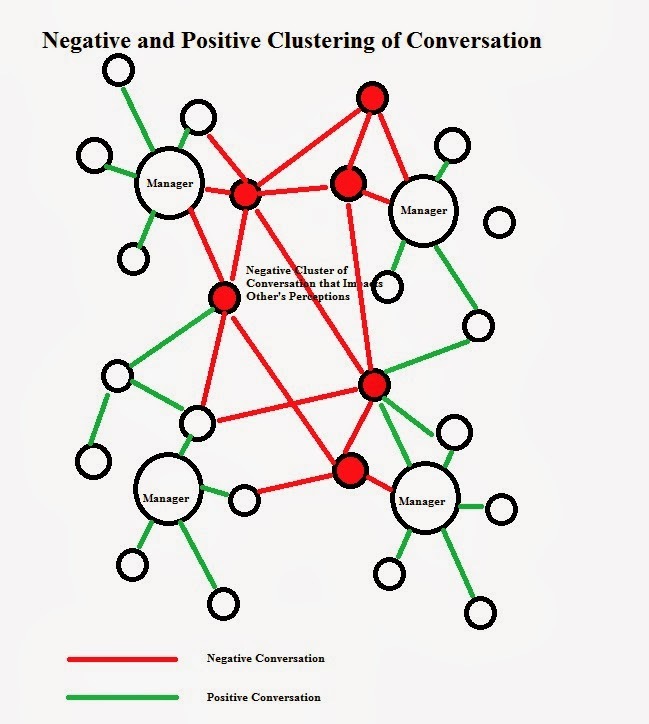 (2013), discuss the nature of communication in the workplace and the patterns formed. Employees who are effective communicators are likely to succeed in achieving their goals. Individuals are seen as active agents whose behaviors are driven by motivations that are innate (Bandura, 2008). Such individuals express themselves, their personalities, and even their unconscious conflicts through communication. Let us take two examples of people who have distinct communication patterns within the workplace. Tom wants to be successful and seeks recognition for his work. John feels as though he is more deserving of others and the only way to achieve his goals is to dominate others around him. Both will develop a communication pattern to meet their goals. Tom talks about the great things he has done and seeks recognition and approval. John is hyper critical and talks poorly of others abilities. Tom likes to talk out differences while John seems to push his agenda on others. Tom learns from others and John negatively compares himself to others. Both have developed a pattern. Tom and John’s behaviors are both addictive. Communication is social and others gauge their environment by the behaviors around them. If Tom works hard, manages conflict, and seeks recognition and this results in success others will begin to copy Tom. If John’s brashness and negativity is rewarded others will assume that is what makes success. One workplace will become more productive while the other will become more toxic. Of course, Tom and John are not the only people in the workplace. Therefore, the total communication flow is based upon up the collective pattern of the environment. These patterns are defined as the culture and value systems of a company. To change culture and patterns can mean to change the conversations, reward systems, and basic economic assumptions of the environment. The researchers sought to understand what communicative behaviors the workplace has experienced based upon the perception of employees. Within their target they found that the ten most common verbal communication patters were listening, asking questions, discussing, sharing information, agreeing, suggesting, getting feedback, seeking feedback, answering questions and explaining. These observed patterns suggest a workplace that seeks to be efficient and the communicative patterns appear to support that effort. A second study found some differences. Routinely used verbal communication behaviors exhibited were information sharing, relational maintenance, expressing negative emotion, and organizing. Even though each of these are common it should be understood that relational maintenance should not be excessive and expressing negative emotion should be productive. If they do not add to the success of the organization, it is possible that excessive amounts of time in social structure maintenance and negativity can create a non-mobile and toxic workplace. Understanding what communication patterns employees are using can determine overall cultural values and communicative behaviors within the workplace. Surveying employee’s perceptions of communication patterns within the workplace will help solidify for decision-makers the most common interactions. By understanding these patterns, it is possible to make adjustments that further help the organization develop proper workplace assumptions that lead to productivity. 1.) 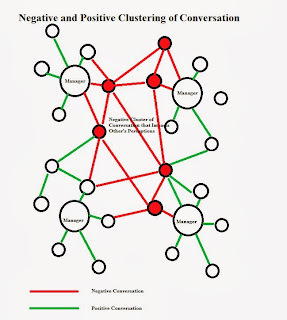 Executive Communication Patterns: How do executives communicate with each other and employees? 2.) Employee Communication Patterns: How do employees perceive the communication patterns within the workplace? 3.) Employee to Customer Communication Patterns: How do customers perceive the communication patterns coming from employees? The international encyclopedia of communication[electronic version]. London, England: Blackwell. doi:10.1111/ b.9781405131995.2008. Keyton, J. et. al. (2013). Investigating verbal workplace communication behaviors. Journal of Business Communication, 50 (2).